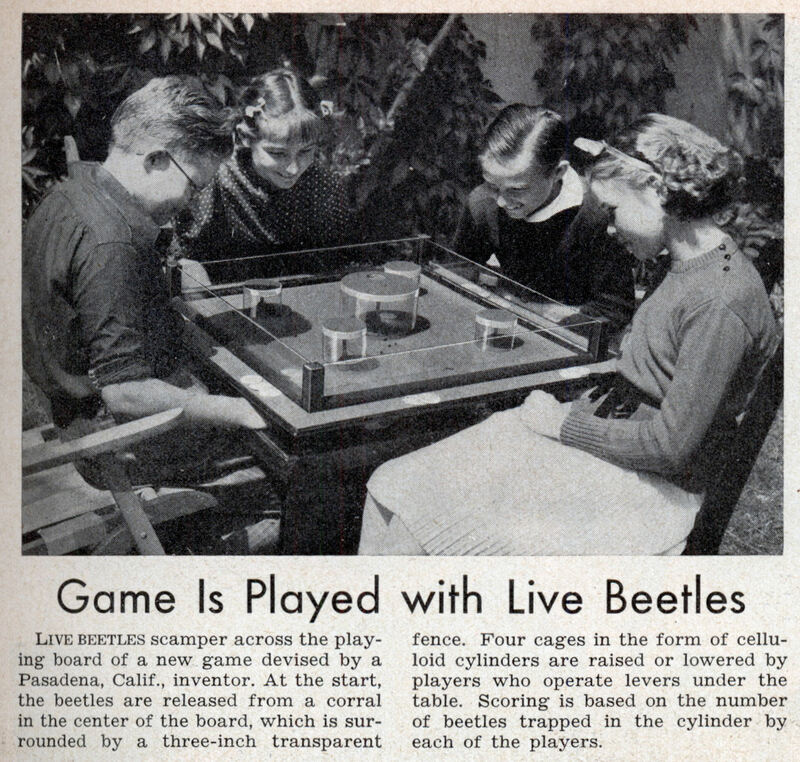 Some good ones from Modern Mechanix… This game featured in Popular Science 1937 didn’t catch on… – Link. Homemade auto-camera catches thief, Popular Science 1940 – Link. 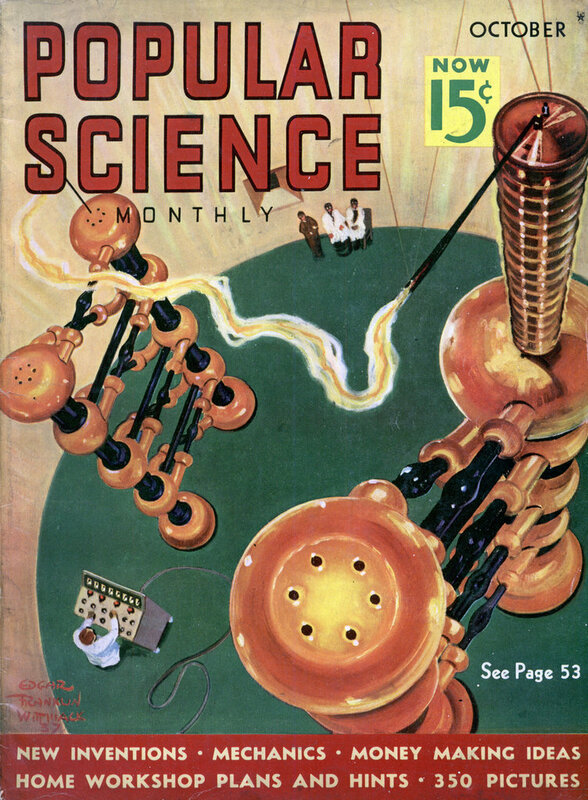 Milk powered, Modern Mechanix 1938 – Link……. Back then, the hippos were hungry for beetles.